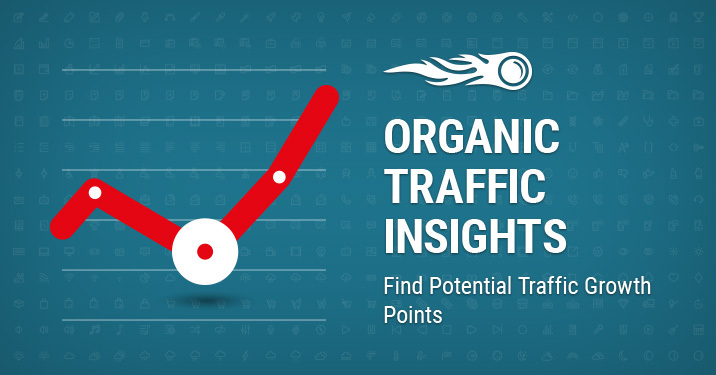 Organic Traffic Insights, the tool developed to disclose ‘not provided’ keywords in Google Analytics, which drive traffic to your site, now helps you find potential traffic growth points and correct your SEO strategy. To allow you to capture them more easily, we’ve added charts for your top-performing landing pages, so you can see how your SEO efforts are affecting the page’s traffic. Each chart marks session trends for a certain landing page within a required time period. We’ve also included basic metrics for your best-performing landing pages, which help you track how a page’s traffic, user behavior and conversions have changed over a selected period. To get to this data, go to your project or create a new one, select 'Organic Traffic Insights' and click on the keyword number for your page. You might have noticed that we’ve merged SEMrush and Google Search Console data in the main report to more quickly assess your site’s performance. We’ve also added another great enhancement — we’ve made the tool three times faster and included more landing pages in your report — now you can study up to 50 landing pages in detail. [email protected], and stay tuned, as more updates are coming! What are your potential traffic growth points?